At Attleboro Veterinary Clinic, you can depend on us to discuss with you the best plan of action in order to treat your pet's illness. 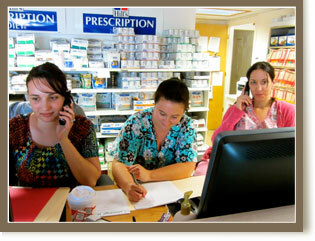 If the situation requires a referral to a specialist, we will discuss that option with you. We understand that the prospect of bringing your pet to a much larger, unfamiliar facility can be a little daunting. Therefore, we try to make the process as easy as possible and will do as much legwork as we can to help you find the best possible referral. Our veterinarians will inform the referral hospital of your pet's condition and health-related details. Happily, our referral veterinarians are excellent at keeping us informed of your pet's progress so we can stay "in the loop" regarding your pet's progress. If seeking treatment from a specialist is not an affordable option, we then will do our very best to treat your pet here at our clinic. Sometimes, a pet experiences an issue or problem that requires challenging surgery or advanced diagnostic testing. As general practitioners, our Attleboro Veterinary Clinic staff knows and understands that in order to provide the very best quality care to your pet, a referral to a specialist may be necessary. However, in order to make it easy and convenient for you and your pet, we bring the specialist to you whenever possible. 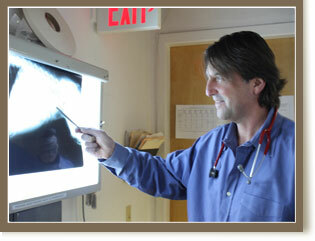 Dr. Siegel and his staff believe that inviting a specialist to our clinic can be very helpful to you, the pet owner. Your beloved pet receives the benefit of seeing a veterinarian that has deep expertise in a particular procedure and often can provide his or her services at a lower cost than a specialty hospital. Because of his immense care for each pet and for you, the pet owner, Dr. Siegel is very involved when it comes to selecting our hospital specialists. Only those veterinarians who rank at the top of their field of expertise and possess outstanding professional abilities and medical ethics are involved in your pet's care. We consider the referral specialists recommended by Dr. Siegel to be our partners in the care of your pet. At Attleboro Veterinary Clinic, we have a board certified veterinary surgeon who comes to our practice regularly and who performs more advanced surgeries. He practiced as a Professor of Veterinary Surgery for ten years and has extensive surgical experience. He has been coming to our clinic since 2004 and has an unsurpassed reputation for safety and delivering excellent surgical outcomes. Best of all, he is very easy to talk to, relates well with all our clients, and his prices tend to be much less than that of a referral hospital. A board certified veterinary cardiologist also visits our clinic regularly to perform ultrasounds for chest and abdominal issues. He, too, shares an extensive history with Dr. Siegel and brings with him a tremendous amount of experience in ultrasonography. This means that he can interpret subtle findings in meaningful ways and this can be very important in making the correct diagnosis. If your pet warrants additional diagnostic tests, Dr. Siegel can refer you to the most qualified and appropriate veterinarian for your pet's treatment and care. We are grateful to be able to partner with such qualified and dedicated specialists.